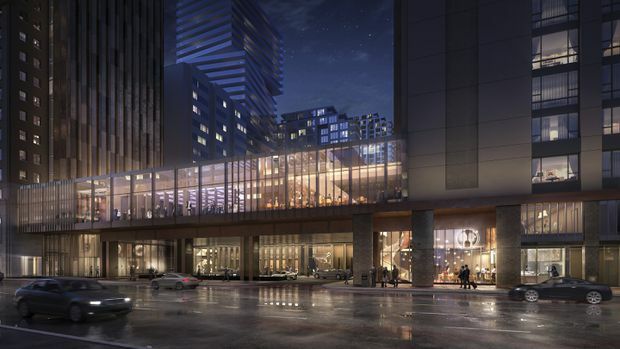 The exterior of the Park Hyatt hotel in Toronto is being restored, as shown in this rendering, to the original look of the Park Plaza, which opened in 1936. 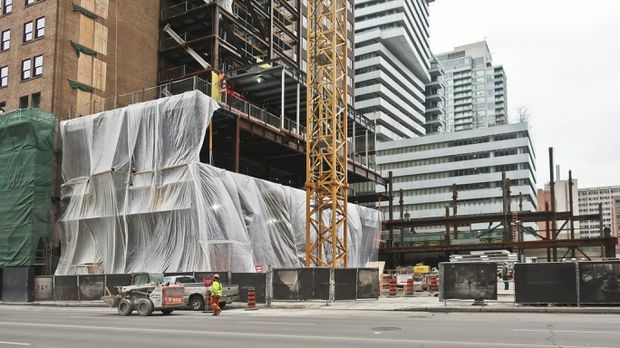 The exterior of the Park Hyatt will be largely unchanged, although a steel superstructure has been added to enclose a new elevator bay. 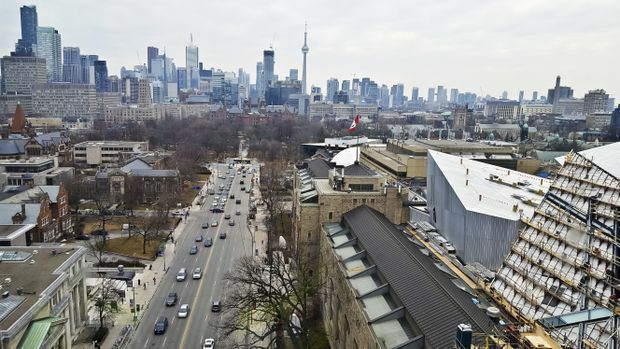 The Park Hyatt's south tower will offer rental units, with some looking south toward Queen's Park and the Toronto skyline. A retail floor has been proposed for the new Park Hyatt, as shown in this rendering. As shown in this rendering, a structure that includes the hotel lobby and event space above will connect the Park Hyatt towers along Avenue Road.